FLUID is a workpoint system by ThinkingWorks. FLUID forms collaborative workbenches, desks and tables with a bold aesthetic and unique leg profile, making it stand out from a traditional bench-style workpoint. 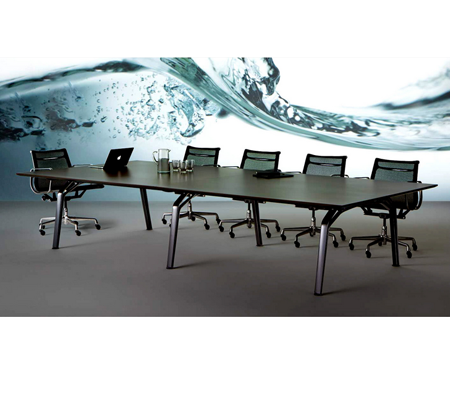 Each workspace can be configured with storage, power and screen accessories to suit the individual worker’s needs. 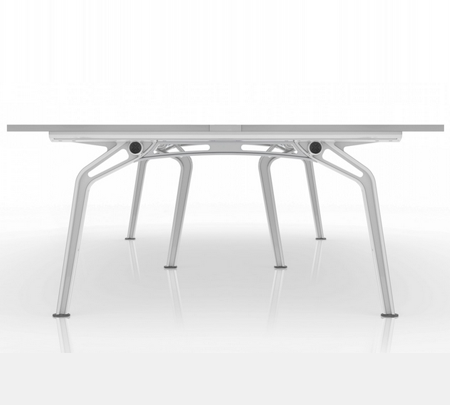 Touch down desks can be integrated into workbench design for mobile workers. ThinkingWorks likes to think about the living office as well as the action office. We like to make sure that a workplace uses space efficiently to provide the flexibility required for various tasks and work requirements. FLUID can be configured in a number of simple ways to maintain consistency throughout the workplace with one product and one aesthetic. This allows for reconfiguration, re-use and recycling as the workplace evolves.